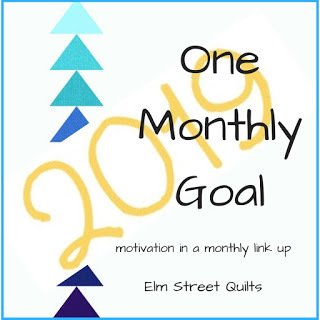 2019 is off to a good start, One Monthly Goal speaking anyway. Here in Ohio, our January is starting to remind me of my growing up years in Minnesota! On the plus side, the cold and snow kept me inside and sewing. 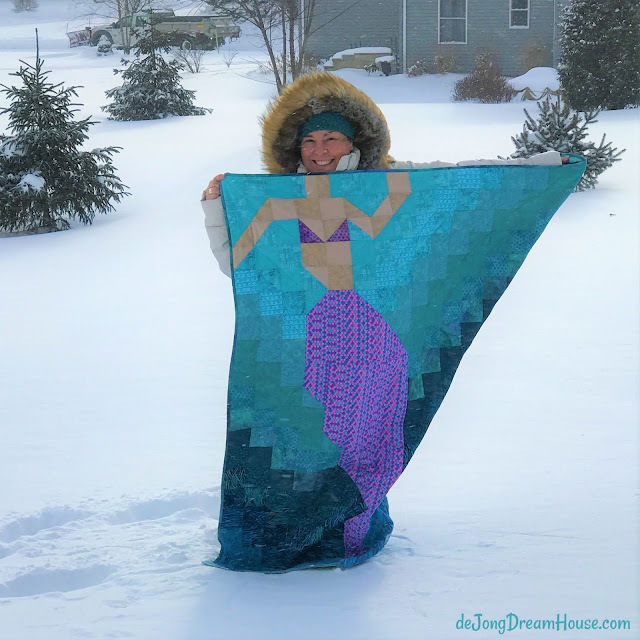 I didn't realize how ironic my goal for this month would be when I set it, but I couldn't resist posting with my mermaid quilt in a foot of snow! For those interested in making their own mermaid, my quilt is an adaptation of Be A Mermaid by CoopCrafts. You can read more about how I made the quilt on this post. You can find more pictures of this quilt on Instagram at #MollysMermaidQuilt. To see what I'm currently working on, including my 2019 Brain Injury quilt, follow me at deJongDreamHouse.